Illegal radio broadcasts first began filling China's airwaves back in 2013. Since then, they've become rampant, normally blasting listeners with various types of content, ranging from sketchy medical infomercials to lewd and pornographic content. Law enforcement officials say for the exception of Tibet, these types of illegal broadcasts have been noted all over China. Chen Shiqu with the Ministry of Public Security says their campaign has focused on getting to the root of the problem. "We've been trying to target the business operations which set up the illegal broadcasts. We've also been targeting those who produce and sell the equipment used for the broadcasts. Those who purchase airtime on them to spread their illegal information are also being targeted." 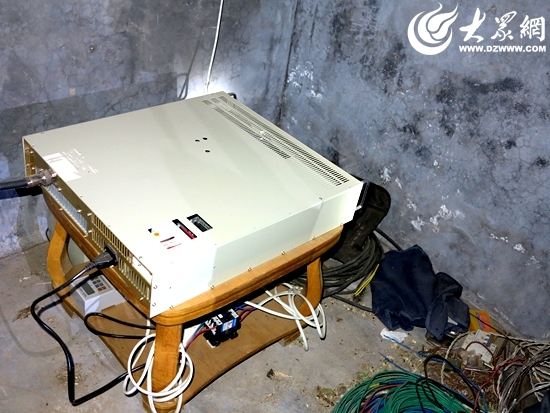 Authorities estimate it can cost around 50-thousand yuan a month to set up and maintain the illegal transmitters, which are normally set up in residential areas. However, some of the larger operations are reportedly able to make millions of yuan in profits through the sale of their air-time. While the transmitters themselves are often poorly made, many of them are high-powered. Li Changwei with the Civil Aviation Administration of China says these high-powered broadcasts have the potential to interfere with vital communication channels. "These shadowy radio frequencies severely affect the operations of our control towers at airports. Sometime, pilots and the air traffic controllers are unable to communicate effectively, impacting flights." A six-month, nationwide crackdown on illegal broadcasts began in February. So far, over 400 illegal radio operations have been shut down cross the country. To help with the crackdown, authorities are using drones with radio-wave sensors to track their targets. Song Qizhu is with the Ministry of Industry and Information Technology. "We can now very accurately and effectively monitor and locate these illegal broadcasts. We have built a comprehensive wireless monitoring network to alert us when these broadcasts are spotted." Under Chinese law, anyone caught setting up illegal broadcasts is subject to fines and up to 7 years in jail. Chinese authorities say they're making significant progress in stamping out illegal radio broadcasts across the country.